The Perfume House is part of the Al Shindagha Museum in Dubai. DUBAI – A part of the Al Shindagha Museum is set to open this year, making the Dubai Creek the venue of one of the largest open-air museums in the world. The Dubai Culture announced that the first phase of the museum will be opened in the first quarter of this year. “The opening of Al Shindagha Museum commemorates the historical city of Dubai and our ancestors’ footprints to ensure they continue inspiring future generations, strengthening their sense of pride in their country and heritage,” said Abdul Rahman Al Owais, Chairman of Dubai Culture. The Al Shindagha Museum comprises of 23 museums that will open as part of the Dubai Historical District Project, which is being developed by Dubai Municipality, Dubai Culture and Dubai Tourism. The massive project sprawls the Shindagha area, on the Bur Dubai side of the Creek and is expected to attract 12 million tourists a year. 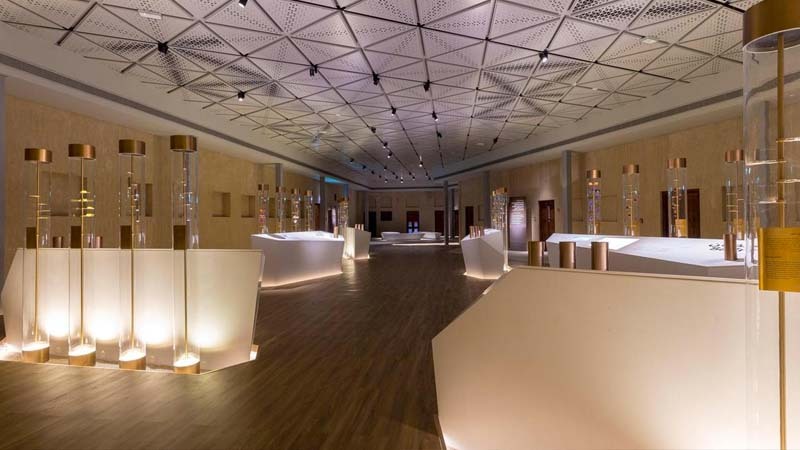 One of the first museums to open will be the Perfume House, which is built within the former home of Sheikha Shaikha bint Saeed bin Maktoum, who was an avid perfumer. The museum contains her personal collection of perfumes, including a 28kg piece of oud she used in her home. The museum also hosts a perfume workshop where you can learn how to mix your own fragrance. The Dubai Creek: Birth of a City pavilion is also set to open at the same time as the Perfume House and will showcase Dubai’s journey from a fishing village to a thriving metropolis.